SYDNEY, AUSTRALIA, JULY 24, 2014—Miller Camera Support Equipment, a leader in the production of innovating camera support solutions, will be on-hand to loan some of its latest camera support solutions to exhibitors at the Australian Broadcast Exhibition (ABE) 2014, Australia’s pre-eminent specialist television broadcast technology tradeshow that features the latest in digital broadcast and production technology. At this year’s show, Miller will lend its Compass 15 Solo 2-Stage Carbon Fibre System and Arrow 40 Sprinter II 2-Stage Carbon Fibre System to Panasonic Broadcast and Sony Australia. 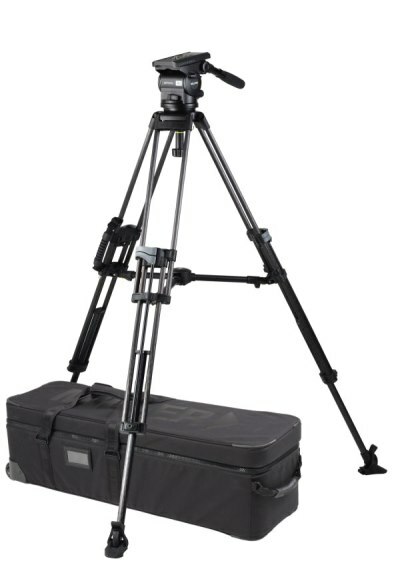 An ideal travel companion, the rugged Compass 15 Solo 2-Stage Carbon Fibre System combines the innovative, lightweight Solo tripod and the Compass 15 Fluid Head to provide professional performance for the latest generation of lightweight HDV/DVCAM/XDCAM and P2HD cameras. 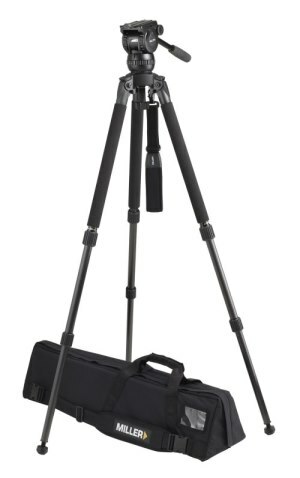 The company’s Arrow 40 Sprinter II 2-Stage Carbon Fibre System is essential in the demanding world of news gathering and its speedy and sturdy Sprinter II Carbon Fibre Tripod can capture everything from fast-action sporting events to long, slow, scenic pans. Additionally, Miller will be loaning three Compass 20 Fluid Heads to Quinto Communications and its Arrow 55 Sprinter II 2-Stage Carbon Fibre System to Magna Systems & Engineering. The award-winning Compass 20 Fluid Head, with an impressive two to 12 kilogram payload range, offers its users speed, performance and versatility, incorporating the best pan and tilt fluid drag in its class with a selectable counterbalance system. The Arrow 55 Sprinter II 2-Stage Carbon Fibre System, perfect for documentary productions, provides higher load capacity that is particularly suited to long-lens applications or studio/EFP configurations, offering users additional features suitable for outdoor shooting conditions, including inline carry handles, illuminated rear controls and a mid-level spreader with adjustable centre hub. Scheduled to take place at Sydney’s Novotel Manly Pacific Hotel from August 5 to 7, ABE 2014 is open to the public and provides industry professionals with a unique opportunity to assess the latest technology developments in content production. To learn more about ABE 2014, including how to register to attend, visit http://www.abeshow.tv/abemain/.